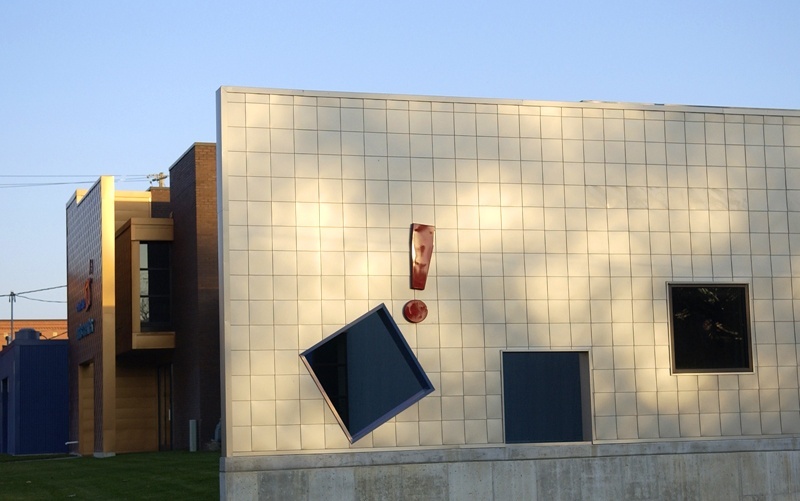 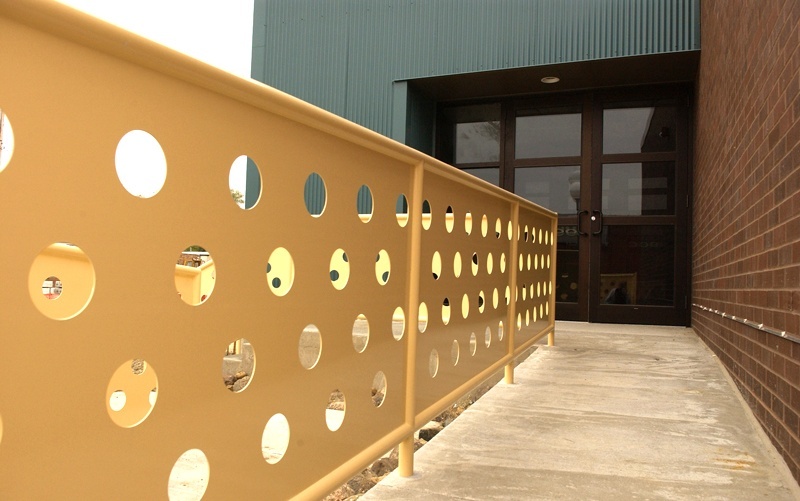 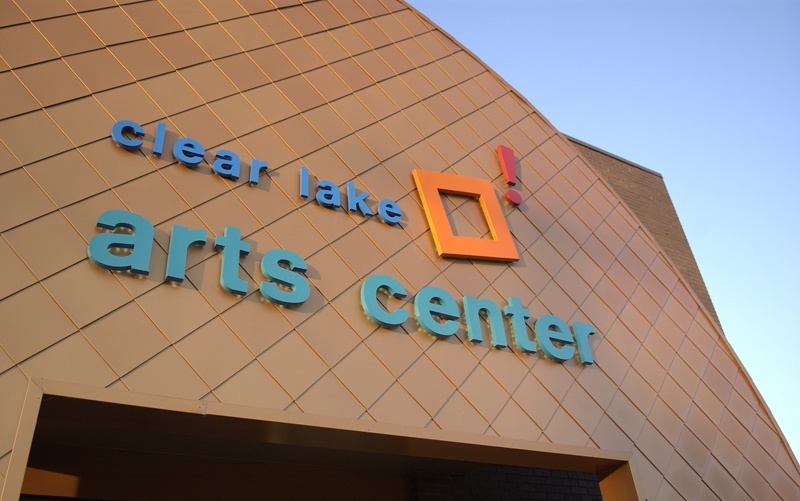 An arts organization with a 30 year history opened the doors to its new facility in 2007. 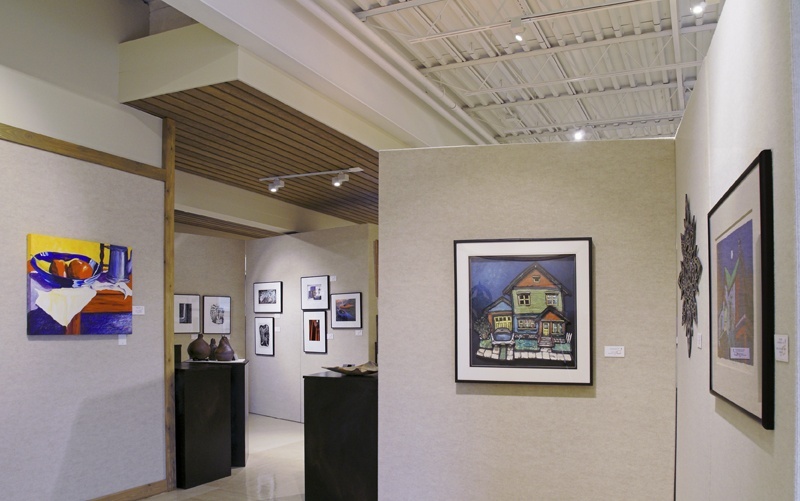 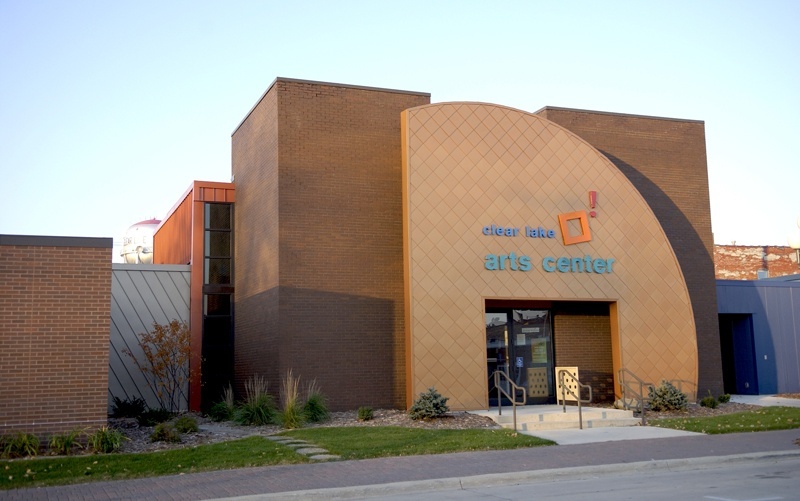 The Clear Lake Arts Center provides a central location for art classes, performances and exhibitions. 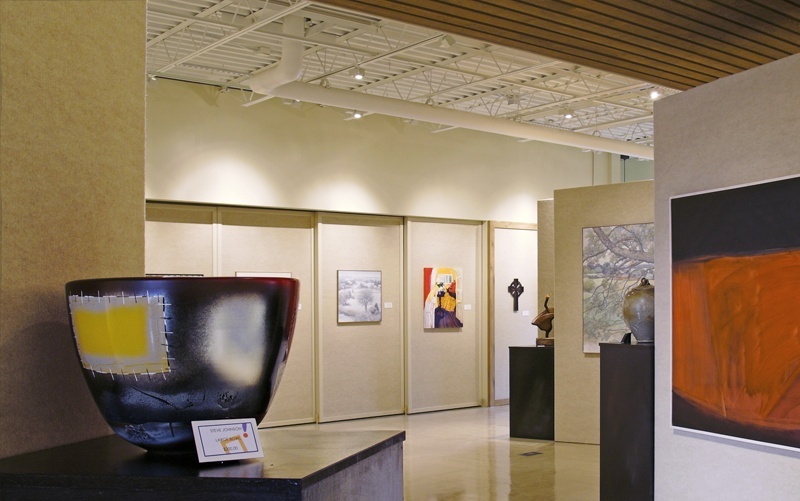 Originally a bank complete with drive up window, the building has since been transformed into a unique gathering place that is sure to stand out in its traditional downtown neighborhood. 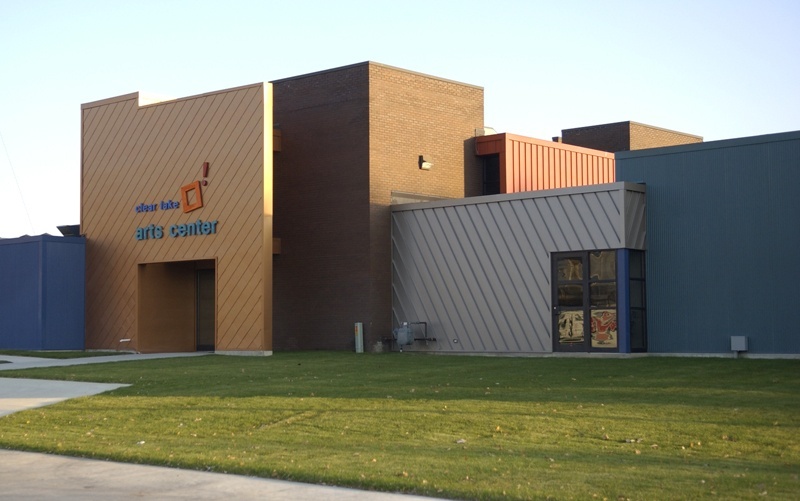 Corrugated metal pop-outs in a sophisticated color palette supply texture against the dark brick silhouettes of the existing exterior. 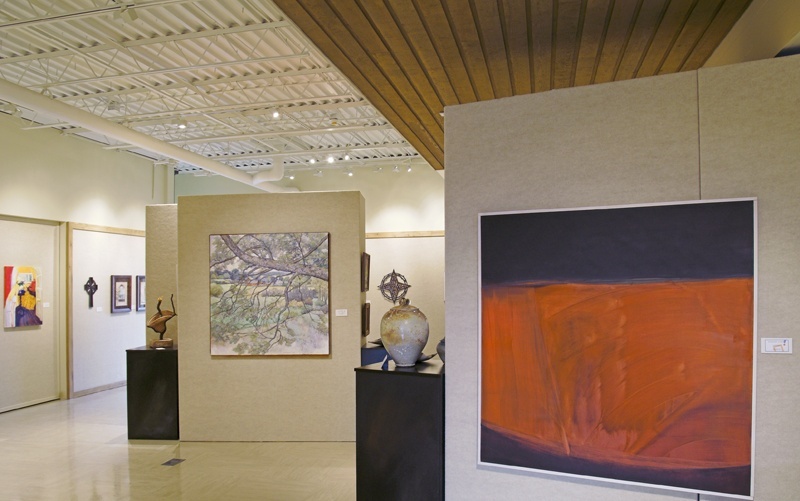 A sculpture court greets passersby outside while a large skylight provides an abundance of natural light within.